Review: Thao & The Get Down Stay Down, 'A Man Alive' On her new album, Thao Nguyen and her band sound emboldened and unafraid to delve into some heavy, nervy stuff. 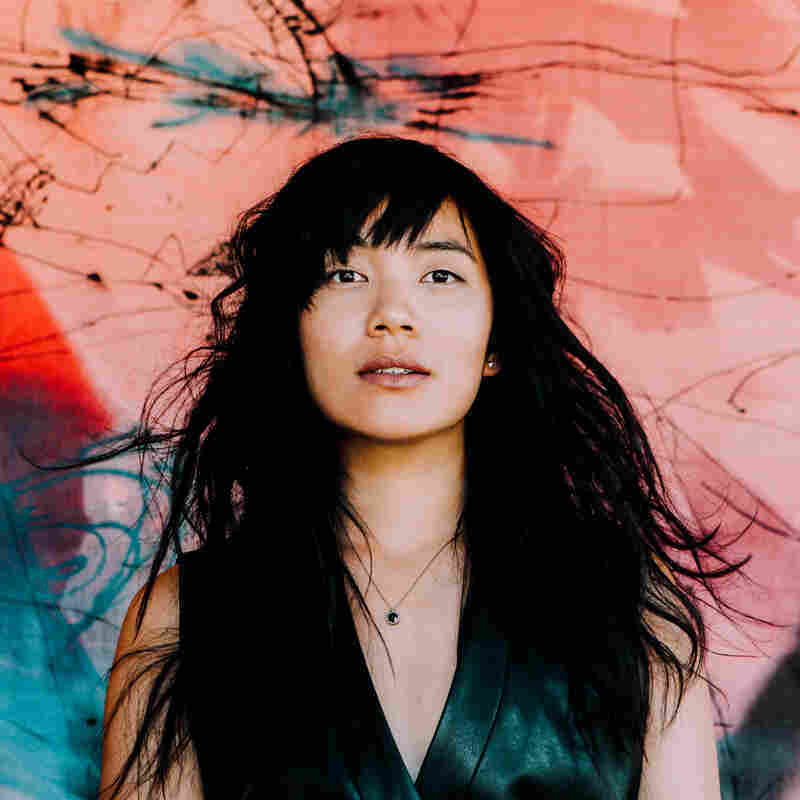 "We grieve so deep in disguise / The private lives of private eyes," Thao sings in "Hand To God." It's a simple yet striking line that illuminates the emotional backbone of her brilliant, jarring new album, A Man Alive. Throughout the record, Thao ruminates on how little we know of the turmoil people carry around inside — and opens up about her own lingering wounds. Nearly every song drops references to her still-visceral feelings of abandonment over her father's absence from her life, and dissects the complicated relationships it has caused. While Thao's songs have always been personal, rarely have her lyrics been this direct. The rollicking We Brave Bee Stings And All (2008) was a coming-of-age snapshot about the trials of love, being young, and itching for more from life. Later, with 2013's We The Common, Thao, along with her superb band the Get Down Stay Down, incorporated her growing interest in social activism and advocacy. But on A Man Alive, the Virginia-raised, San Francisco-based songwriter sounds emboldened to delve into some heavy stuff. In "Nobody Dies," a lilting and gnarled, bass-heavy track, Thao explores, through the eyes of a wounded child still reeling from watching someone leave, feelings of unrequited love in the punishing lines, "I sent all of it and then you send it all back to me ... All my life, won't you come for me? / I got love to give, too scared to leave." Similarly, the mid-tempo lament "Guts" wonders why he never came back to meet the person she's become. "You know I'm so easy to find, you won't come get your girl." The song then describes a tug of war between desiring approval and wanting to move on: "I have a family, will they pardon me? / Taught to be loyal, never shown loyalty... I got the guts, I don't need my blood," she sings with equal parts resolve and uncertainty. Musically, these songs are just as fearless. On previous records, Thao worked with producers Tucker Martine and John Congleton — each helping her realize a series of jubilant, slack-strummed folky anthems. Now Thao and the Get Down Stay Down has partnered with Merrill Garbus, the sonically adventurous mastermind behind tUnE-yArDs, who previously co-produced the Thao & Mirah duo album. Recorded at John Vanderslice's San Francisco studio Tiny Telephone, A Man Alive works as a perfect match: Garbus' uncanny knack for fractured textures and exciting genre blends perfectly suits Thao's raw vocal yowl, yielding a crackling combination. "Astonished Man" erupts with dissonant, Annie Clark-caliber riffs and bit-crunched noises that sound like static signals misfiring. The slinky "The Evening" is infused with an Afrobeat-meets-calypso funk groove and a blistering solo straight out of a disco-era Bowie song. Elsewhere, they pile layers upon layers of controlled chaos, from burbling synths and clattering junkyard percussion to guitars masked and contorted with pitch-shifting effects, as if played through a deteriorating dial-up modem. Thao and Garbus further run wild in the album's most explosive track, "Meticulous Bird," a driving banger fueled by a chopped-up hip-hop beat and analog squelches. With a half-sung, half-spoken rap like Mellow Gold-era Beck, Thao practically spits with clever wordplay and ferocity unlike anything she's released before. "I grow my hair so long to wrap around you," she sings about a possessive, smothering relationship. "You've been starving for air ever since I found you." Ultimately, A Man Alive is about searching for inner peace — or at least, as heard in "Endless Love," coping by numbing the pain: "I got an endless love no one can starve ... I don't want it, carve it on out of me." Thao may not arrive at definitive resolutions, but channeling her experiences into these artistic risks results in her most rewarding work yet.